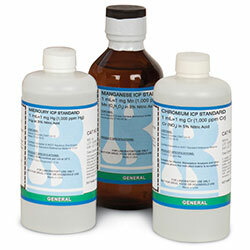 Use these standards to confirm ICP and ICP-MS analysis. Each bottle is packaged with a Certificate of Analysis containing data for 69 trace level elements. Alternate matrices are available for some elements. Call USABlueBook for information.